Technology-led innovation has the potential to truly disrupt business models and distribution channels in the financial services industry. However, the big institutions are well-capitalised, have large customer bases and are adapting their innovation strategies to use new technology to strengthen their dominant market positions. Cybersecurity and data protection go hand-in-glove with any forum on technology and this was no exception. David Navetta, one of Norton Rose Fulbright's lead US partners on the topic, shared numerous war stories that gave a frightening insight into how IT systems have been breached and the damaging consequences. 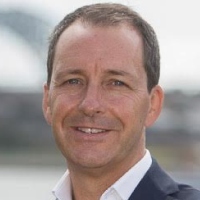 Nick Abrahams, angel investor, start-up director and partner of Norton Rose Fulbright, raised the spectre of the tech bubble of early 2000, given the increasing number of tech-based backdoor listings and IPOs he has advised on over the past three years and the many others he has observed. However, we were assured by Sally Loane of the Financial Services Council and our tech-savvy panellists that the current fintech movement is different because of the advances in, and widespread take-up of, mobile technology. Adrian Fisk of KPMG outlined how fintech hubs are now thriving in London and Singapore and how Stone & Chalk was launched recently in Sydney. Tech entrepreneurs are using these hubs to monetise their creative talents, secure the fruits of innovation for Australia and stem the brain drain to overseas markets. Greg Tanzer reaffirmed the commitment of the Australian Securities and Investments Commission (ASIC) to facilitate innovation, and encouraged the use of technology to produce better consumer outcomes and rebuild trust and confidence in the financial services industry. 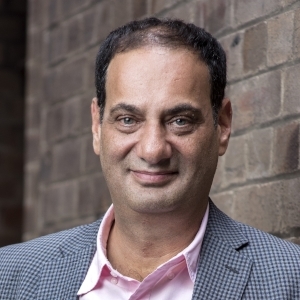 Even the process of innovation has changed, according to Andrew Rothwell of Tyro Payments. The “document-heavy” process of old (using fully documented specifications) has been replaced by an agile method of going straight from the formulation of the novel business concept to sitting down with the various stakeholders to build the technology platform. It involves testing the new platform, making adjustments and doing a soft launch to gauge consumer reaction and take-up. In this fast-paced creative environment there is a sense of urgency and excitement … until it comes to regulation. Sorry for throwing a bucket of cold water on the creative furnace. Well, there was nothing agile about the process to get that licence. Regulation is designed to protect consumers and ensure the integrity of the financial services market, which is the most heavily regulated commercial activity in most countries. As a result, regulation is often a high barrier to entry for start-ups seeking to disrupt mainstream incumbents. For successful first movers in the fintech space, such as RateSetter, it had the advantage that entrepreneurs who seek to follow its path will struggle to raise capital because of the high cost and time needed to jump through the regulatory hoops. For example, we know of two (now successful) start-ups that took up to 24 months to get regulatory clearance to go live. Of course, keeping a keen eye on such innovations are the incumbent financial institutions, which are also adopting more agile strategies. All the large institutions have some form of strategy to access the fintech revolution. Westpac is investing through Reinventure, and its founder, Danny Gilligan, is of the view that financial services cannot be truly disrupted. Rather, he believes new technology will be used to improve the product and service offerings of the financial institutions, who will continue to own and control the bulk of the customer relationships in Australia and broadly. There is much truth to his words, according to Kathleen Scott of Norton Rose Fulbright in New York, with the larger institutions in the US linking up, or investing in, new technology providers to strengthen their market-leading positions. Recent examples include Fidelity’s and Citi’s link-up with Betterment in the US. AMP also appears to be adopting this strategy through its smaller selective investments in a diversified range of potential winners in the fintech space. Of particular interest to AMP group general counsel Brian Salter is robo-advice and automated investment management. According to Salter, it is not about disrupting AMP’s financial planning business channels. There are just not enough planners to properly serve all AMP’s customers. Accordingly, AMP sees robo-advice as an opportunity for AMP to open up affordable, quality-controlled advice to more of its customers. This is consistent with Gilligan’s comments that fintech is more about enhancing the existing service offerings of the incumbents, rather than truly disrupting their businesses. 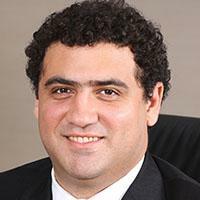 Zein El Hassan is a partner at Sydney-based legal firm Norton Rose Fulbright.